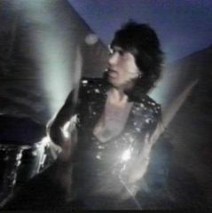 Cozy’s appearance in the music video for the song “Headless Cross” from 1989. A promo picture from 1989 for the Headless Cross Black Sabbath album. This is a Black Sabbath promo picture for the 1989 Headless Cross Tour. 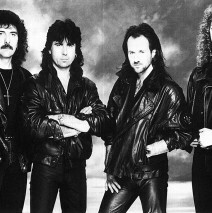 L-R: Tony Iommi, Cozy Powell, Tony Martin, & Neil Murray. 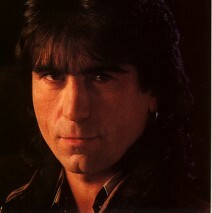 This is a closeup promo picture of Cozy from 1989. 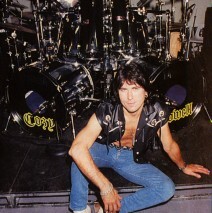 Cozy sitting in front of his kit from 1987, the same one used during his “Emerson, Lake, & Powell” gig. 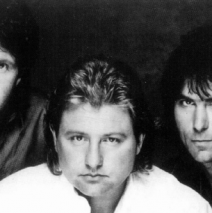 A promo picture from the short lived incarnation of ELP with Cozy, called “Emerson, Lake, & Powell”. 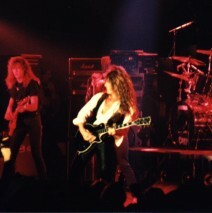 With the Gary Moore Band, late 1988. 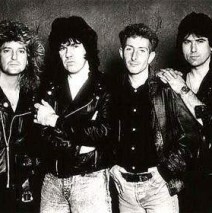 L-R: Bob Daisley, Gary Moore, Neil Carter, & Cozy Powell. 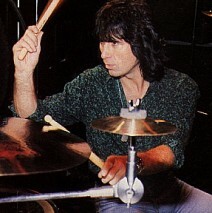 This is a promo picture of Cozy from 1987. 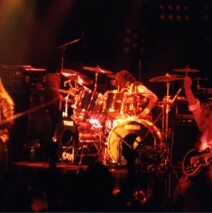 Cozy Powell (with David Coverdale & John Sykes) live while in Whitesnake in Lund, Sweden, 1984. Photo by Steve Carlsson.